Are you looking to enjoy kayaking on the open water, but not get too crazy? Recreational kayaking is perfect for kayakers who want to go out on the lake or flatwater stream, but don’t need all of the bells and whistles. These kayaks are as the name implies, and used for recreational purposes. There are certain things that separate a recreational kayak from a traditional one, and that’s what we’ll highlight for you today. 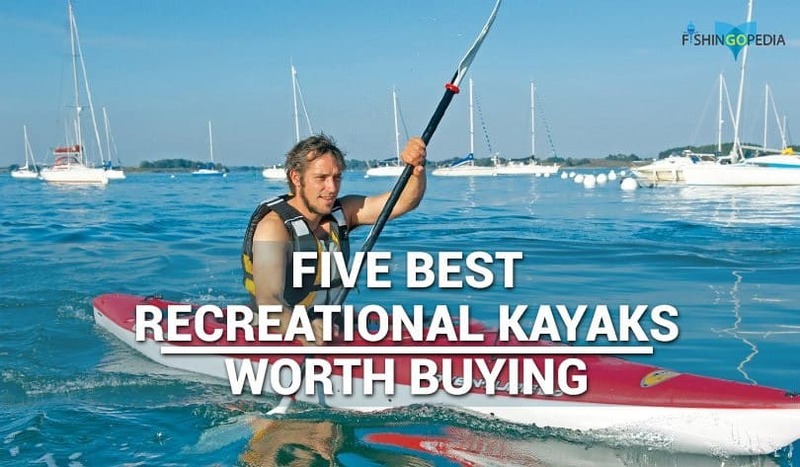 In this guide we’ll breakdown exactly what a recreational kayak is, what they are best used for, how they’re different, and most importantly, the best recreational kayaks in 2019. What is a Recreational Kayak? By definition, these kayaks are built with the casual paddler in mind. Because of this, they actually account for most of the kayak sales each year, seeing as how most people are looking to purchase a kayak for some weekend fun. Within the range of self-emptying kayaks, the Sonic 80X is suitable for all those looking for a simple, compact and economical kayak. Its small size and lightness eliminate any complications when transporting it in the car and keep it at home. Easy to learn, comfortable, stable and with an acceptable slip despite its short length. It is perfect for small walks and excursions on the beach or near the coast, in reservoirs and in rivers. If you feel like trying and getting started in the world of kayaking, the Sonic 80X will allow you to do it, with little economic outlay. The Scooter is the star within our range. The most versatile of versatile. With its intermediate size, it is able to get an outstanding in all subjects. Its only three meters make it comfortable to carry it in the roof of the car, to keep at home, to manipulate … At the same time, its shell helmet makes it safer than the rest of their counterparts. 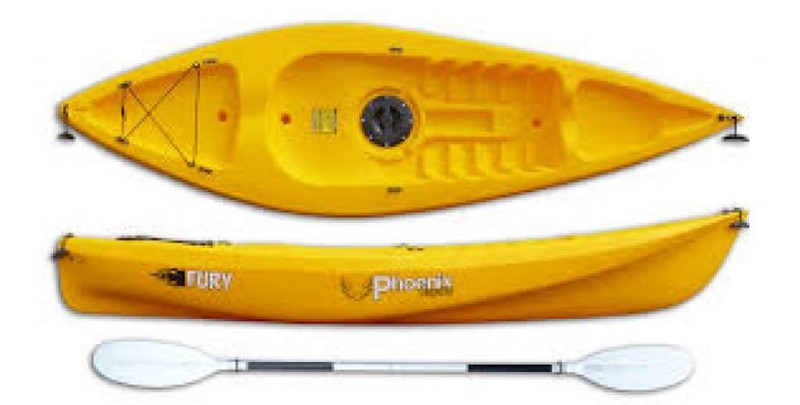 It is an extra-comfortable kayak, thanks to its volume, allows you to navigate an adult with a child, take a dive team, fishing equipment or some luggage for small excursions, without ever losing its stability. If you are looking for a kayak that not only gives you a few fun times, if not something more, the Scooter will undoubtedly be the one that will provide you with greater satisfactions. If you want to share your leisure time, the Gemini is your best ally. 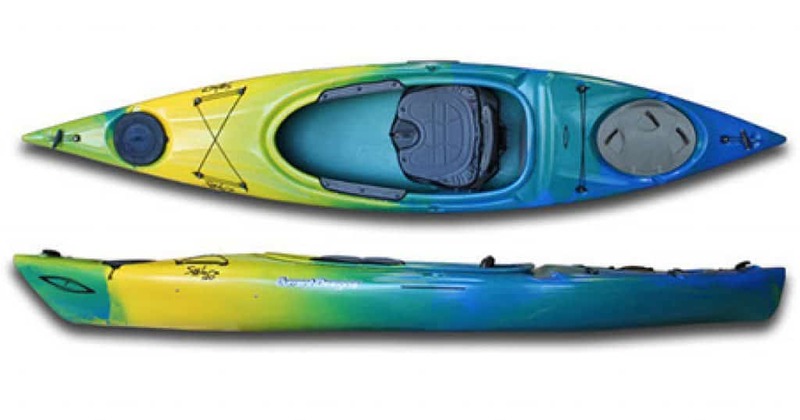 It combines its qualities better than any other kayak: stability, maneuverability and good slip. Surprising the extreme ease with which two inexperienced people, in a short space of time, are already enjoying. It adapts perfectly to the navigation in calm waters in rivers and reservoirs, as well as the walks along the coast. It has a third central seat in which to carry a child or for an adult to handle the kayak, in case of having to sail alone. It is certainly a great success, for all who wish to discover the world of kayaking, but do not want to do it alone. With the Triumph 13, Perception has created the best-performing self-emptying kayak on the market. Its hull is inspired by the kayaks of crossing in sea, obtaining a fast kayak, that maintains the course, but at the same time, very stable. As a perennial best kayak on our list, it’s suitable for sailing in all types of waters: sea, estuaries, rivers, reservoirs … and all kinds of uses, ranging from pure walking, to excursions and coastal routes or kayak fishing. In addition, a central seat integrated in the cover, allows to take a child comfortably. Finally a real kayak for the kids. Solo is totally adapted to them: small, light, manageable and super stable. It is the ideal boat to start kayaking and to play and have fun on the beach. For children up to 55 kg. of weight. The Solo kayak is also recommended for children’s activities centers, summer camps, swimming pools, leisure clubs etc.